Research by Chandlers Roofing Supplies has found that a whopping 95 per cent of roofers in the UK feel they are the least appreciated among all tradespeople. The nationwide survey of roofers also revealed that ‘weeding out’ rogue roofers is the most pressing issue for those working in the roofing trade, with almost three quarters, 73 per cent, saying they had been called upon to rectify shoddy roofing work by a rogue roofer on at least one occasion in the last 12 months. Despite the feelings of being ambushed by rogue roofers and generally under-appreciated by customers, half of all roofers say they ‘always enjoy’ their job, with only 2 percent saying they don’t enjoy being a roofer. Asked how they became roofers, 35 per cent of respondents said they fell into the trade, while a quarter said that the roofing trade has been in the family. Only 1 in 10 had been down the roofing apprenticeship route. 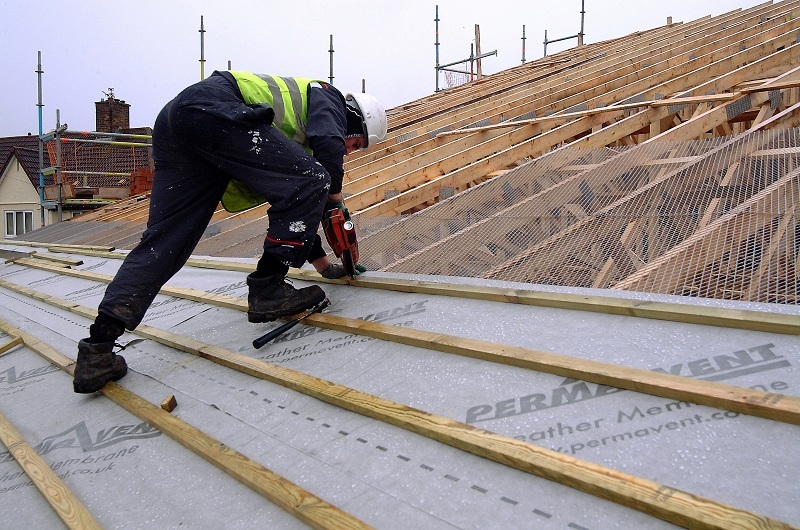 Working at a height is reported as the biggest occupational risk according to 53 per cent of roofers followed by 37 per cent saying that inclement weather is a high risk. However, the development of new materials and tools was identified by half of respondents as the key factor that has made the roofer’s job easier and safer. A further quarter of respondents say that training in health and safety has benefited the trade.